As a City of Sanctuary, Derby has a long tradition of welcoming refugees and asylum seekers. 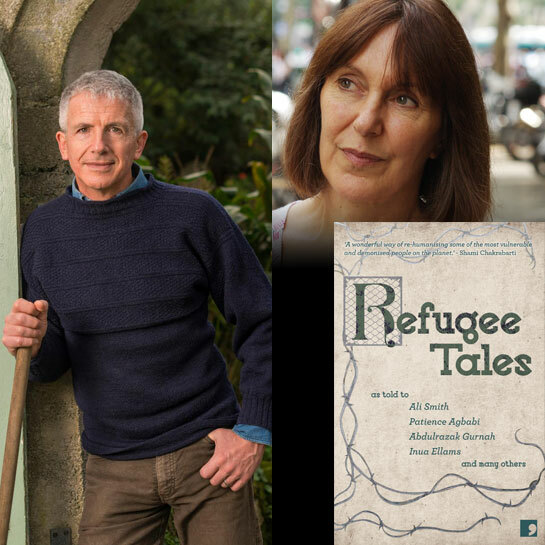 The third volume of Refugee Tales is published in June 2019 with writers, including Patrick Gale, retelling the true stories of those who have been detained so that they can finally be heard. They offer a glimpse into the untold suffering of asylum seekers today and the power and prevalence of the human spirit. Marina Lewycka contributed to the first volume of Refugee Tales. The Festival’s Community Programme has been working with young refugees and asylum seekers and will publish a book of stories about their journeys to the UK in June. The Bookshop Band will perform a new song commissioned by Derby Book Festival based on Refugee Tales and this new book.